A diaphragmatic hernia is a life-threatening condition which requires immediate emergency treatment and the failure of physicians to properly diagnose and respond to this condition can result in severe injury and the death of the patient. The Chicago diaphragmatic hernia attorneys of Rosenfeld Injury Lawyers LLC are leaders throughout Illinois when it comes to representing the interests of those who have suffered complications or lost people that they cared about due to the negligent actions of a doctor, hospital or attending staff members. If you or a loved one suffered from this condition and failed to receive treatment in time to prevent extensive damage or death, you may be entitled to damages. The diaphragm is a thick muscle that assists with breathing and protects the lungs and heart from your abdominal organs, such as the stomach, spleen, liver, and intestines. A diaphragmatic hernia is the result of an injury to or hole in the diaphragm which results in abdominal organs falling into the chest cavity. There are two forms of a diaphragmatic hernia— one of which occurs during pregnancy and the other as a result of trauma or injury to the abdomen. Congenital diaphragmatic hernia (CDH) results from the poor development of the diaphragm over the course of a pregnancy and causes the child to be born with one or more malformed lungs because of the intrusion of abdominal organs into the chest cavity. Luckily, only one lung is affected in the majority of cases, which makes it possible to treat the condition when noticed in time. Acquired diaphragmatic hernia (ADH) occurs when the victim suffers a blunt injury to the stomach or chest or is the victim of a violent crime such as a stabbing or shooting. The symptoms of CDH are normally present upon birth and the newborn must undergo surgery within the first 24 to 48 hours of life in order to have a full recovery. CDH and ADH have very similar symptoms with the exception that it may be slightly more difficult to detect abnormal breathing in infants without a closer examination. Following are all of the signs that may suggest you or someone you love is suffering from a diaphragmatic hernia. When the presence of these symptoms is ignored or untreated, it may be possible to argue medical negligence and you should speak with one of our Chicago diaphragmatic hernia injury attorneys to learn about your rights. Rapid or labored breathing. If you are not receiving an adequate oxygen supply, the first bodily response to ensure survival will be to increase your breathing rate to compensate. If the lungs have weakened or the infant’s lungs are not developed, it will be more difficult to breathe. Bluish skin tone. The blood darkens in the absence of oxygen, and when levels become dangerously low, the skin begins to turn a bluish tint due to the lack of oxygenated blood flow. Rapid heart rate. In addition to increasing your breath rate, your heart rate will begin to race when you are experiencing oxygen deprivation. This is one of the ways the body attempts to compensate. Lack of breathing sounds in the infant. The lack of breathing sounds or very faint breathing signs can identify a diagnosis of CDH. Abnormal sounds in the chest cavity. When the intestines or other organs move into the area normally occupied by the lungs, the sounds normally produced by the bowel can be heard in the chest. Physical examination reveals void in abdomen. When the the abdominal organs move into the chest, they create an absence in the abdomen that can be felt by pressing on the stomach and other areas. The treatment for both CDH and ADH is emergency surgery to remove the invading organs from the chest cavity and to seal the abdomen from the chest cavity to restore breathing function and blood flow. The survival rate in children who are treated promptly for CDH is 80% and survival depends on the type of injury to cause ADH in adults. Failure to diagnose and treat either form of hernia can result in brain damage or death due to oxygen deprivation. 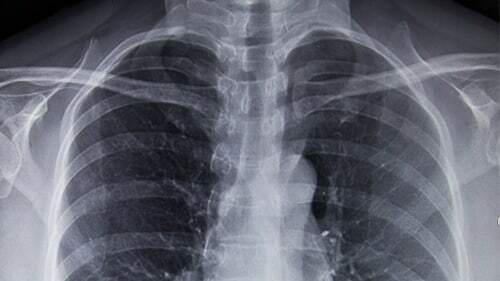 If you suffered injuries or lost a loved one due to the failure of a doctor to diagnose a diaphragmatic hernia, contact Rosenfeld Injury Lawyers LLC today to arrange a free case review where you can learn more about your rights, legal options and how we may be able to help you recover compensation as we have for others who have had experiences similar to your own. Each of our Chicago diaphragmatic hernia lawyers works on a contingency basis, meaning that we will never charge a fee for our services unless we recover damages on your behalf.